While most consumers would agree that there is no substitute for the cutting prowess that a gas-powered motor on a string trimmer provides, many people still have their qualms about the devices. For instance, the very motor that makes cutting thick underbrush and high weeds so simple also makes the unit hard to lug around a yard for an extended period of time. Plus the gas itself must be mixed with oil on a 2-cycle engine and the carbon emissions are hampering to the environment. For some, the ultimate reprieve comes in the form of battery operated grass trimmers. A string trimmer that runs on battery power operates in much the same way as a standard gas unit. The head of the device holds the string and comes in a tap-feed design or individually installed pieces. The shafts of gas and battery trimmers are also similar with a lightweight construction in either a straight or curved design. The big difference with a battery powered weed eater is its electric motor instead of an internal combustion engine, which provides with it some definite advantages and disadvantages. 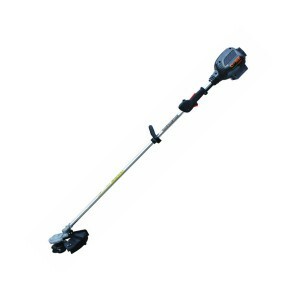 A cordless electric string trimmer is defined by its convenience to use. A battery in lieu of a motor makes these units the lawncare product of choice for those with a bad back or limited lifting capacities. Lighter. Of course each different unit is different but some battery operated string trimmers weigh only about half as much as their gas powered counterparts. Aluminum shafts, smaller heads, and the lack of an internal combustion motor all contribute to the handy lightweight capacity of battery units. Gas Isn’t Needed. Another huge advantage is the fact that they don’t need fuel to operate. Motor driven weed wackers with a 2-cycle engine need more than gas as they must be properly mixed with oil in order to avoid motor damage. Quieter. Even with a pair of protective muffs on, weed whipping a yard can have lasting effects on the user, specifically reverberating from the shaking of the trimmer and ringing from the loud noises. Cordless electric trimmers operate at a much quieter capacity and without excess vibration. No Emission. Some states in the United States are close to making at least 2-cycle gas trimmers obsolete as they tighten their emission laws. Battery operated units have zero emissions and a very limited carbon footprint. If battery operated trimmers were as perfect as their benefits suggest, gas powered trimmer manufacturers would’ve been out of business decades ago. As is the case, there’s a reason that many people have made it their personal stance to avoid battery operated units. Battery Life. By far the biggest gripe with cordless electric units is the dismal life span of even Lithium batteries. Some manufacturers boldly claim that one battery provides up to a mile of cutting life when in fact most users are resigned to the fate of charging the battery multiple times just to finish trimming a medium-sized yard. Many consumers are forced to purchase a second battery and charger for their trimmer, a buy that will cost them about half as much as they paid for the entire trimmer. Lack of Power. The cutting power of a battery operated trimmer as a whole is pretty decent, but to somebody switching from a 28cc gas unit it’ll seem like a butter knife trying to cut through a block of cement. 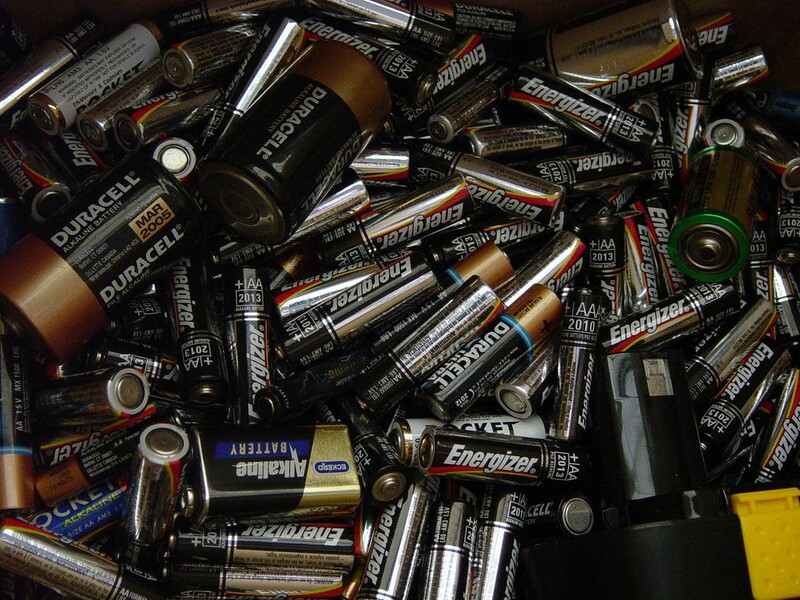 If a homeowner has a ditch on their property that needs frequent clearing or wants to use their battery trimmer to tidy up a field they better have about 2 dozen batteries plugged in and charging. Stigma With Neighbors. Not that it’s correct, but some homeowners simply prefer ‘manly’ tools and equipment. Just as they’d rather have their F-350 truck compared to a Prius, some people would rather lug around a powerful gas trimmer rather opposed to putting up with the whizzing of a compact, lightweight battery weed whipper. The good thing about battery operated whackers is that they are evolving, both in regards to electric motor power and advances in battery development. Here are some reviews of what people are saying about products currently on the market. According to B&D, their LST136 model is a heavyweight addition to the cordless electric trimmer field. The unit features a 36 volt battery compared to 18 or 20v industry standard products. The LST is somewhat heavy for a battery powered unit but still very manageable at just under 8 pounds. Convenience is at the premium with this unit as Black & Decker markets it’s trademarked PowerCommand dial to switch between thick undercut and standard trimming in an effort to save battery life. The battery in the unit is lithium-ion rechargeable, which is supposed to provide a longer run time and a quicker recharge. A charger is included as part of the purchase and it claims to have a recharge time of about an hour. It should be noted that the LST 136 features the very convenient automatic feed spool feature and converts to an edger with a simple adjustment of the shaft. For the most part, consumers who purchased the LST136 were pleasantly thrilled with it – for the first year at least. Consumers liked the power that the battery-fueled unit provided and said that the trimmer could easily handle the moderate trimming in their yard with none or maybe one recharge. The second year changed though as people reported a much depleted battery life and in some cases a unit that was completely dead. 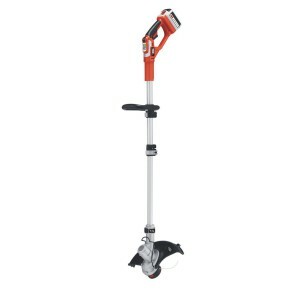 Most users were overall satisfied with the Black and Decker LST136 and the approximate $119 retail price is a huge selling point. The second year battery flaws reiterates the importance of proper battery care in cold weather months. Proof that not all battery powered string trimmers are quaint, compact units comes from the Core CGT 400. This whopper of a string trimmer weighs almost 20 pounds and is powered by a 21v special release battery. CORE outdoor power products feature their homegrown engineered engine technology known as Conductor Optimized Rotary Energy. The devices are still emission free and battery operated, but have cutting times that rival those of a full tank of gas on a combustion engine string trimmer. The result in the CGT 400 is the highest energy power per weight ratio of any motor on the market, making the CGT 400 ideal for both commercial and residential jobs. The $260+ retail price may be a deterrent to some, but consumers have to remember that doesn’t take into account that gas doesn’t need to be purchased at regular intervals like similarly priced 2 and 4 cycle string trimmers. The CGT 400 also features a power switch to transfer between normal grass trimming and thicker jobs as well as well as the very convenient dual-line bump feed. Customers are almost unanimously thrilled with the CGT 400 string trimmer. People like the fact that it is made in the USA and comes complete with the battery and charger, something that similarly priced trimmers from competitors did not do. One downfall is that the battery takes almost 3 hours to charge completely but with an approximate 70 minutes of run time that can be understandable. As with any consumer product, the decision on whether to make the switch from a gas powered trimmer to a battery unit is one of personal preference. If the homeowner has a hard time lifting heavy objects for a long period of time, lacks transportation to and from the gas station, or has a small yard with minimal trimming, it’s almost imperative to buy a $100+ battery operated weed whipper. On the other hand for commercial uses, heavy cutting landscapes, or acreage of trimming needs it’s either to spend a little more on the battery powered trimmer or stick with the gas units for now. Big fan of battery powered lawn and garden tools. Surprised that the article doesn’t mention EGO. It is Consumer Reports top rated line of battery powered lawn and garden 3 years running.